Know what your home is doing right now – with the MOBILE ALERTS Home-Monitoring-System. - Is the refrigerator set cold enough? - Should the plants be watered? - Can I leave the washing machine running unattended? 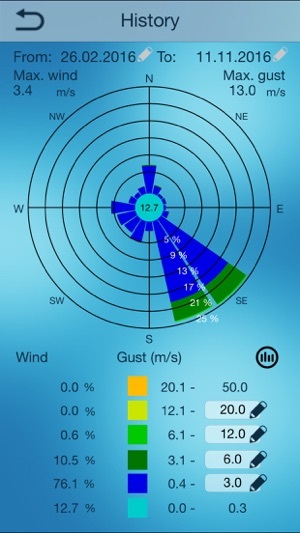 All this questions will be answered in the future by the MOBILE ALERTS Home-Monitoring-System with the practical app in combination with different radio-controlled sensors. All you need to use this app is just the right hardware, including a gateway and at least one sensor of your choice (for example the MOBILE ALERTS Start Set MA 10001) as well as an internet connection. All information from your home can be viewed worldwide on your smart phone with the MOBILE ALERTS app together with an internet connection and the gateway. The sensors permanently monitor the current data and immediately report any fault status messages automatically to your smartphone, which helps to prevent major damage with targeted action. - After downloading the permanent free MOBILE ALERTS app from the app store, the app will be immediately ready for use thanks to Plug&Play. - A personal registration is not required. - Connect the Gateway to the adapter and the router. - Now place the batteries in the selected sensors. - Start the app, scan the QR-code of the sensor and all of the sensors data can now be viewed with your smartphone and you can check on the current status of your home – anytime, anywhere. The self-explanatory graphical user interface of the app can be operated intuitively and can be customized individually to suit your needs. Set an own name for each sensor and set specific alarm limits. Exceeding the alarm limits on your sensors will lead to an immediate fault report on your smartphone, which offers you the safety-PLUS. The MOBILE ALERTS system is compatible with further sensors. Many additional data can be provided besides the monitoring of temperatures, like humidity, water temperature, leaking water, information about open as well as closed doors or windows and much more. Always peace of mind with Mobile Alerts! 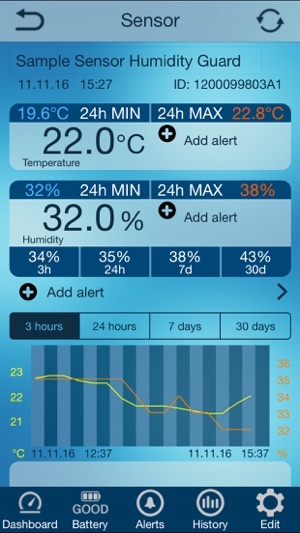 Novelty for increased security and control: the Indoor Climate Station of Mobile Alerts. 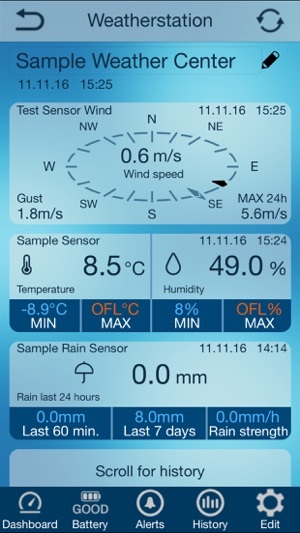 Die indoor climate station for the Mobile Alerts app effectively provides the most important data to temperature and humidity. 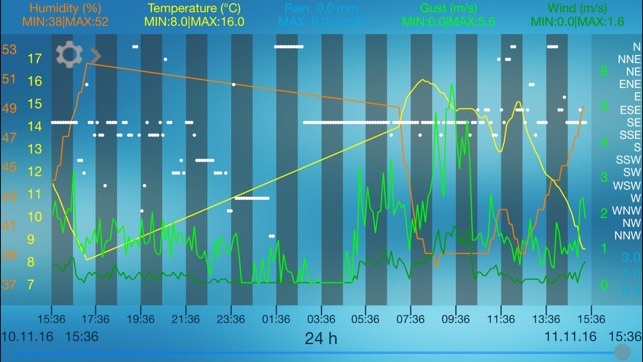 The indoor climate station can additionally be connected to an MA10200 / MA10250 sensor to create exact ventilation recommendation. With these functions, you can effectively reduce the risk of mold and prevent it. 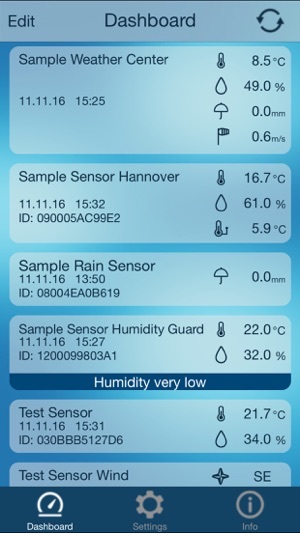 All sensors of the Professional Series feature an extensive graphical presentation of sensor data and a display of minimum and maximum values. We are working continuously at the range of our sensors and additional products will soon be available.